Eric Brook was born in Mexborough on 27th November 1907. He played local football for Wath Athletic before joining the Second Division club Barnsley in 1925. Playing at outside-left, Brook scored 18 goals in 78 games. 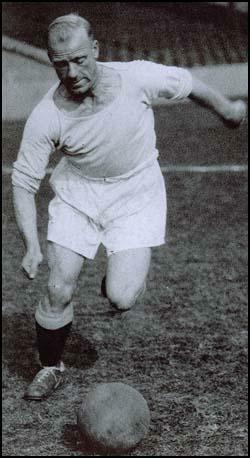 In 1928 Brook and his friend Fred Tilson, joined Manchester City for a joint fee of £6,000. That season the club won the Second Division championship. Brook only made 12 appearances that season. Brook was a regular member of the first-team the following season, scoring 14 goals in 42 games. Brook won his first international cap for England against Northern Ireland on 19th October, 1929. Brook scored one of the goals in England's 3-0 victory. Also in the England team that day was George Camsell. Manchester City finished in 3rd place in the 1929-30 season. Brook continued to play well and scored 16 goals in 40 games. The following season was disappointing with the club finishing in mid-table. Manchester City enjoyed a good FA Cup run in 1932-33 season. Fred Tilson scored a hat-trick in the club''s 9-0 victory over Gateshead. Brook scored both goals against Walsall (2-0) and a hat-trick against Bolton Wanderers (4-2). Tilson scored against Burnley (1-0) and Derby County (3-2) and Manchester City had reached the final at Wembley. The Everton team that day included players such as Dixie Dean, Cliff Britton, Ted Sager and Albert Geldard and easily won the game 3-0. Eric Brook won his second international cap for England against Switzerland on 20th May 1933. The England team that day also included Eddie Hapgood, Albert Geldard, Wilf Copping and Cliff Bastin. England won 4-0 and Brook retained his place for the games against Northern Ireland (3-0), Wales (1-2) and France (4-1). 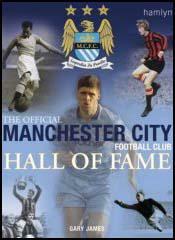 In the 1933-34 season Manchester City finished 5th in the First Division of the Football League. The club also enjoyed a good FA Cup run in the 1933-34 season beating Blackburn Rovers (3-1), Hull City (4-1), Sheffield Wednesday (2-0), Stoke City (1-0), Aston Villa (6-1) to reach the final against Portsmouth. On the way to Wembley the goals had been scored by Fred Tilson (7), Alec Herd (4) and Eric Brook (3). The defence, that included players such as Frank Swift, Sam Cowan, Jackie Bray and Matt Busby also performed well. Manchester City beat Portsmouth 2-1 at Wembley with Tilson getting both of the goals to increase his total to nine in eight cup games that season. Gay James argues in his book, Manchester City: The Complete Record, that Brook's "goals brought much joy to fans, with perhaps his greatest coming in the 1934 FA Cup quarter-final with Stoke, in front of a record crowd of 84,569... Brook fired home a swirling left-foot shot from the very edge of the pitch on the left wing." Brook was the club's top scorer in the 1935-36 season. However, Manchester City could only finish in 9th place in the league. In 1936 Wilf Wild purchased Peter Doherty from Blackpool for a club record fee of £10,000. Manchester City won the First Division title in the 1936-37 season and Doherty ended up as the top scorer with 30 goals. Other contributors included Eric Brook (20), Alec Herd (17) and Fred Tilson (15). The team also included Frank Swift, Jackie Bray and Sam Barkas. Eric Brook won his last international cap for England against Wales on 17th November 1937. He had scored 10 goals in 18 games for his country. 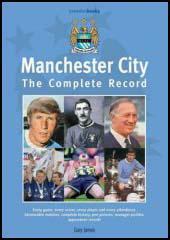 In the 1937-38 season Manchester City finished in 21st position and was relegated to the Second Division. Peter Doherty was once again leading scorer with 23 goals in 41 games. Doherty was injured in the 1938-39 season but still ended up as second top scorer with 17 goals in 28 games. The outbreak of the Second World War brought an halt to Brook's football career. Soon afterwards he was involved in a serious car accident that fractured his skull. He had scored 159 goals in 453 games. Brook worked as a coach driver in Mexborough before becoming the landlord of the Albion Inn in Halifax. He also worked as a crane driver. Eric Brook died in Manchester on 29th March 1965 aged 57. Eric Brook was the complete opposite to Tom Finney. Whereas Finney is dainty, Brook made no pretence towards daintiness. He was a full-blooded chaser who liked nothing better than to have a real belt at goal, but you will read more about Eric Brook in a later chapter.